Originally published in 1926, Twenty Years Hunting and Fishing in the Great Smoky Mountains is a vivid, firsthand account of life in rural Appalachia. Samuel J. Hunnicutt was an avid and accomplished outdoorsman. He lived with his wife, Leah, and seven children in what is today the Great Smoky Mountains National Park. Hunnicutt's many hunting and fishing trips in this rugged and remote part of North Carolina are recounted in forty-seven tales captured in his distinct and unadorned voice. 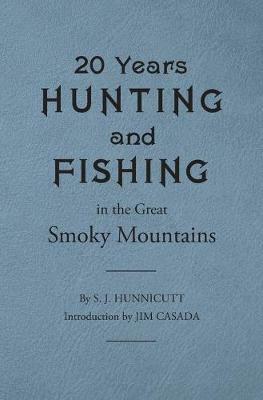 Hunnicutt's original work, long considered a lost classic, is presented here in an unaltered facsimile edition with a new introduction by Jim Casada.